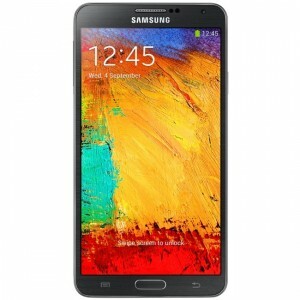 The Samsung Galaxy Note 3 continues on from the success of the Galaxy Note 2. Sporting a 5.7" Super AMOLED 1080p display, the Galaxy Note 3 is powered by a 2.3GHz Snapdragon 800 processor, with 3GB of RAM. Storage comes in at 32GB or 64GB, which can also be expanded with a 64GB microSd card. The camera is an impressive 13MP and is capable of capturing 4K video. The Galaxy Note 3 retains the S Pen stylus, and is the first smartphone to include support for USB 3.0. All this is powered by a 3200mAh battery.